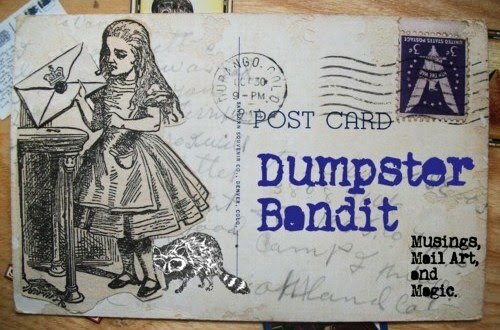 Dumpster Bandit: Some Old Art. A few drawings that I've had kicking around for awhile, I created these about 3-4 years ago. I only drew Punks & Cowboys/girls those days... My drawing subjects have widened since then, but you gotta love the old classics- peppered with a bit of my teenage angst. A mockery of nihilism. Its such a manifestation of internalized narcissism, you know? Argyle Cowboy.... less gaudy than the rhinestone cowboy. Ruckus- A self Portrait of a gunslinging bandita. Be as the raccoons, find beauty and freedom through the treasures buried within your local dumpster. Garage Sale Finds and Mail Art.